New Jersey public radio station WBGO announced that it's award-winning free Kids Jazz Conce rt Series is returning this Spring! 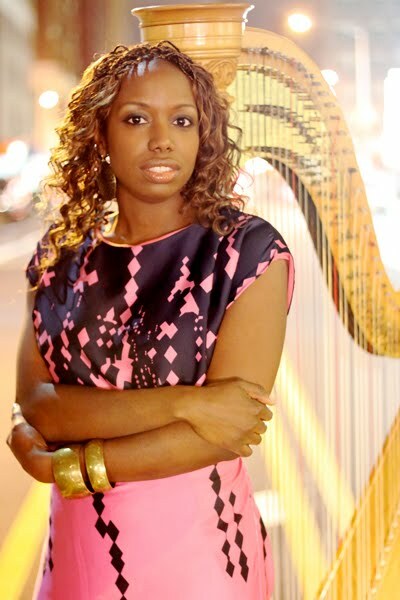 The four free interactive programs geared towards young people feature harpist Brandee Younger, saxophonist Donald Harrison, drummer Will Calhoun and saxophonist Claire Daly. If you have children, it's the perfect opportunity for them to listen to, learn and in some cases discover jazz. The series will be held at New Jersey venues on four Saturdays at 12:30PM. Check out the schedule below. These interactive, hour-long programs give young people opportunities to learn about the distinct qualities of jazz, and why it is a reflection of our community, nation, and world. Top jazz and blues artists produce programs tailor-made for young people, leaving time for further exploration of the music through Q&A sessions with the artists. In addition to the music, the event includes door prizes, a gift for each child and a fun-filled afternoon with other young jazz lovers. How Important Is the Melody? All concerts are handicapped accessible. Adults must be accompanied by a child.